We specialize in medical devices and implants fabricated in Stainless Steel, Titanium, Peek, Plastic, and Aluminum. Helping OEM’s with flexible solutions. 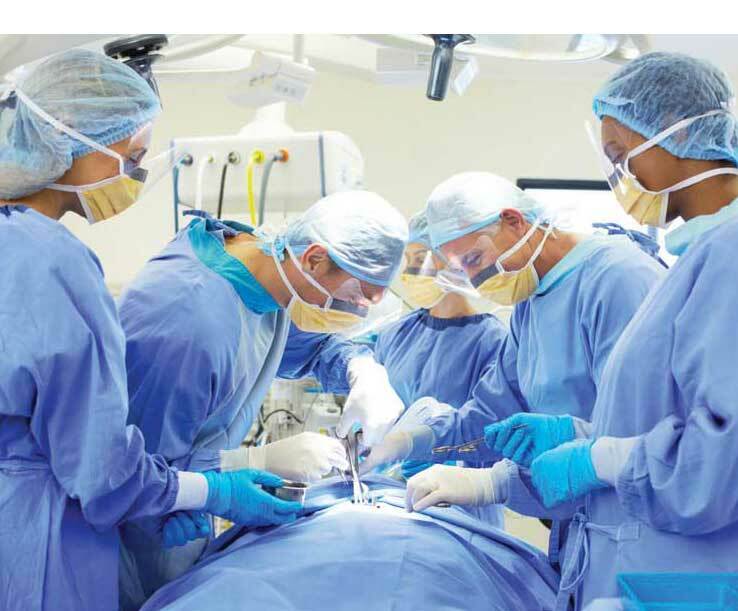 To give surgeons the ability to shape their tools to the situations before them, Lenkbar developed the most robust flexible surgical shaft available: FlexMetric® (US Pat. 8366559). The FlexMetric® technology is adaptable to countless orthopedic applications, the first of which is the single-use FlexMetric® acetabular drill. Private labelling available on all parts. DreamReam™ Expandable Profile Reamers and Planers allows surgeons to prepare the recipient bone for total joint replacement replacement in a manner that minimizes collateral tissue damage. Come visit us at OMTEC June 11-13, 2019 in Chicago at Booth 202! With innovation comes efficiency, with efficiency comes value, with value comes satisfaction. By listening to the needs of today’s orthopedic surgeon, Lenkbar brings intuition to innovation and delivers clinical value to the surgeon. And to the surgeon’s patients. FlexMetric® navigates the angles the surgeon desires while retaining the shaft strength the surgeon needs. Shaft strength is maintained in either clockwise or counter-clockwise rotation. With the FlexMetric® ACL Reamer, surgeons can reach the ACL directly, with less damage to bone. The FlexMetric® Acetabular Drill maintains axis and control and creates a true arc that doesn’t wobble. DreamReam™ Expandable Profile Reamer has adjustable and expandable blades that increase the cutting surface by up to 280%. The DreamReam™ Calcar Planer (patent pending) allows for variable expansion of the planer head for minimally invasive and anterior approach total hip replacement procedures. The DreamReam™ is cannulated, giving the surgeon the ability to channel the DreamReam™ head over either a guide wire or guide pin until it reaches the glenoid. Because it is adjustable to fit most broaches, and can be made to fit any broach, the DreamReam™ Calcar Planer eliminates the need for multiple reamer sizes. 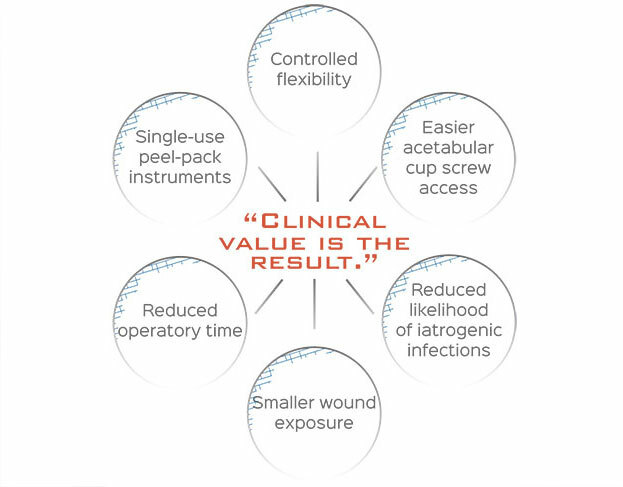 The FlexMetric® drill works with the surgeon, rather than against. It is tactile, responsive and, best of all, predictable. When you put the right tool in the surgeon’s hand, the surgeon becomes more precise, more efficient. Clinical value is the result.